Is it me or are those women's hands ? 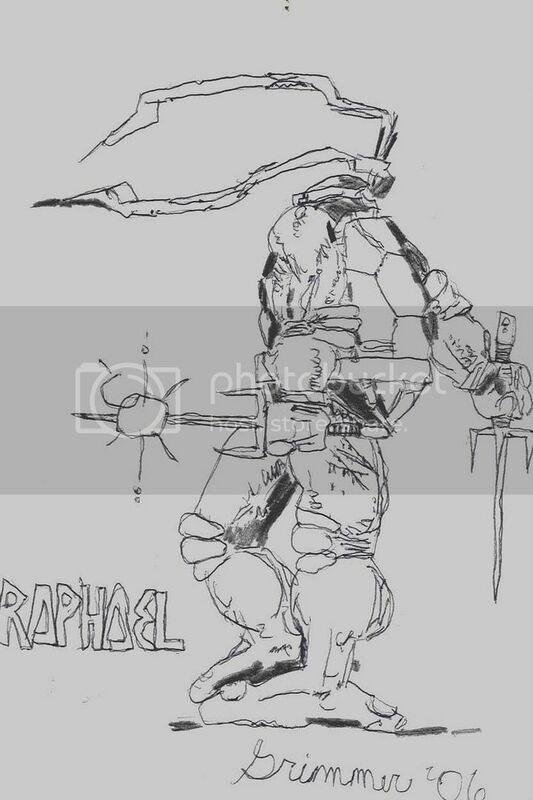 Raph is gonna slaughter april ?? No idea whay it means but I laughed like a fool anyhoo. 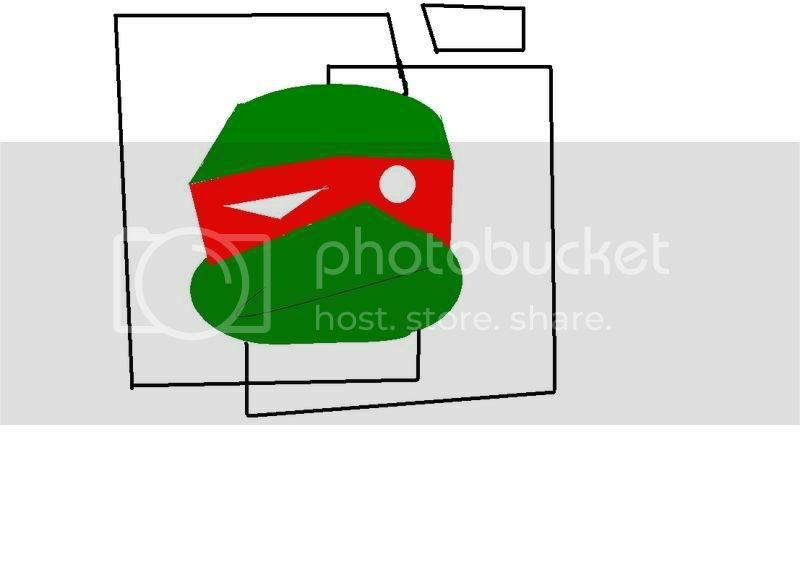 It's called "Donatello falls off a chair" and it shows us how young Donatello discovers gravity. It's a very emotional piece, I'd say. I also used red ink to make it more artistic! Click to enlarge. And "Schredder ist der Sieg!" means "Shredder is the victory!" The conflicting emotions of Don's face are so well presented! Those first few minutes of content peace shattered by confusion, fear and finally the painful realization that there are indeed forces beyond his comprehension. Beautiful! My drawing is clearly better since it's "tr00 2 da orijinell!! !111" Yours is coloured. No TMNT comic ever will be regarded as good whe it's coloured. Also, I am Jim Lawson and you clearly aren't! Yeah, well screw you! I'm gonna go work for Image! And thus Youngblood was born. Wow, I really like that, Cowabunga14. What's on the end of his sai? This is truly a masterpiece, I'm hoping you'll consider painting to on a chruch so many more would get to see this breath taking artwork. This piece really draws you from the time donny notices he's about to fall to the end where his whole world shatters around him. you my sir are the greatest Jim Lawson EVER! A glint of light on metal. Given the way the original piece was done, it's understandable it wouldn't translate that well. Heh... And I thought it was one of those spiked fruits. :chuckles: Okay, why is Mike so googley-eyed?